Raul Hilberg was born in Vienna and emigrated with his family to the USA in 1938, after the Nazis had arrested and then released his father. He attended Lincoln High School and then Brooklyn College. His studies were interrupted when he was drafted into the Army for World War II, but after the war he returned to them and graduated. 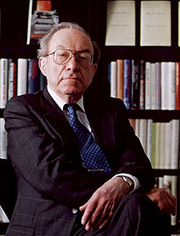 He wrote his doctoral dissertation on the Holocaust, a new academic subject in 1948, and became the world's preeminent scholar on it. He taught at Hunter College and then the University of Vermont. In 2006, UVM established the Raul Hilberg Distinguished Professorship of Holocaust Studies. He wrote long and minutely detailed books about the destruction of the European Jews based on painstaking research into archives and original documents. Raul Hilberg was married first to Christine Hemenway, then to Gwendolyn Montgomery, with two children, David and Deborah. Raul Hilberg is currently considered a "single author." If one or more works are by a distinct, homonymous authors, go ahead and split the author. Raul Hilberg is composed of 5 names. You can examine and separate out names.